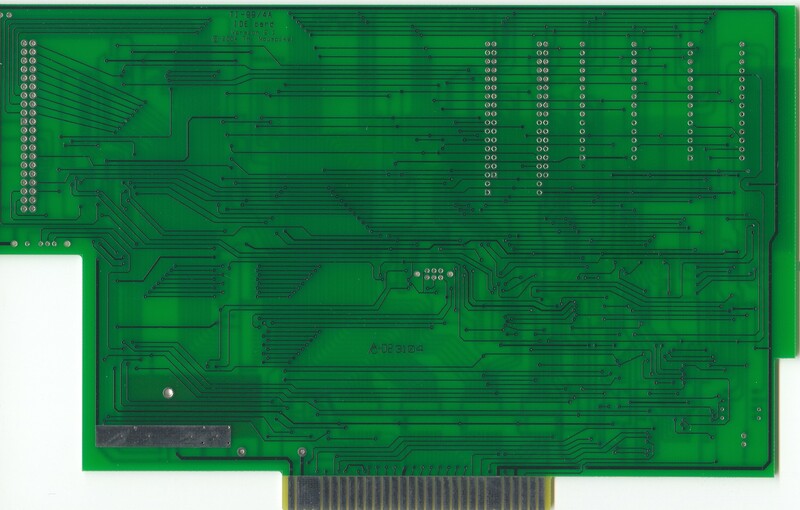 This is component side of the USB-SmartMedia card for the TI-99/4A. This is the reverse side of the card. 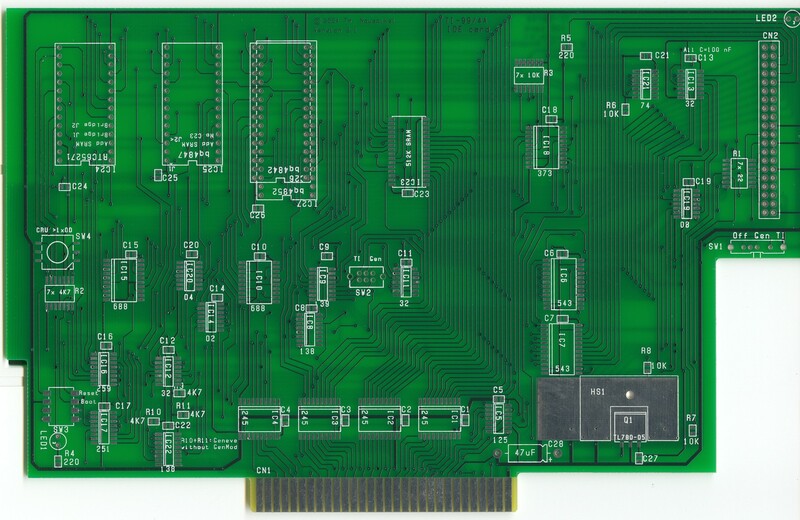 This is the component side of the IDE card. 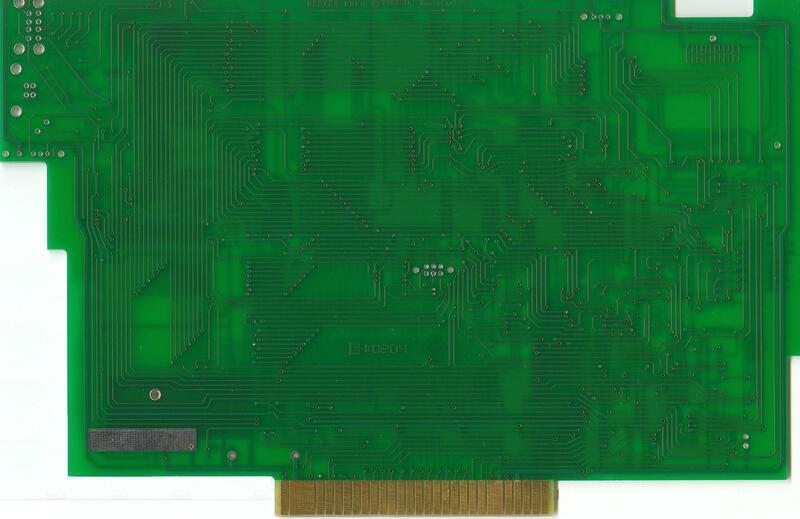 The is the reverse side of the IDE card. This is a complete IDE interface. I just need to get it installed in my system. This is the Compact Flash drive for the 99/4A. That is an 8MB Compact Flash card attached. It s basically a simple IDE interface. Imagine the possibilities of this little device. 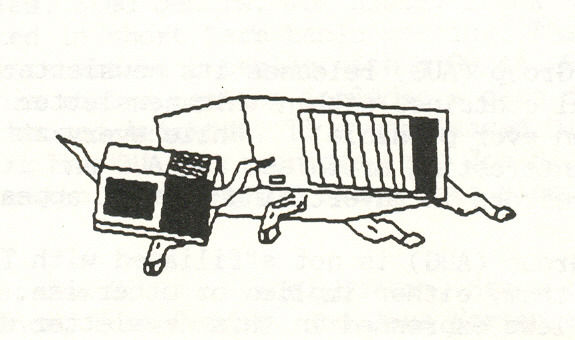 Think about having a side car peripheral that has the ability of having a hard drive and compact flash removable media. 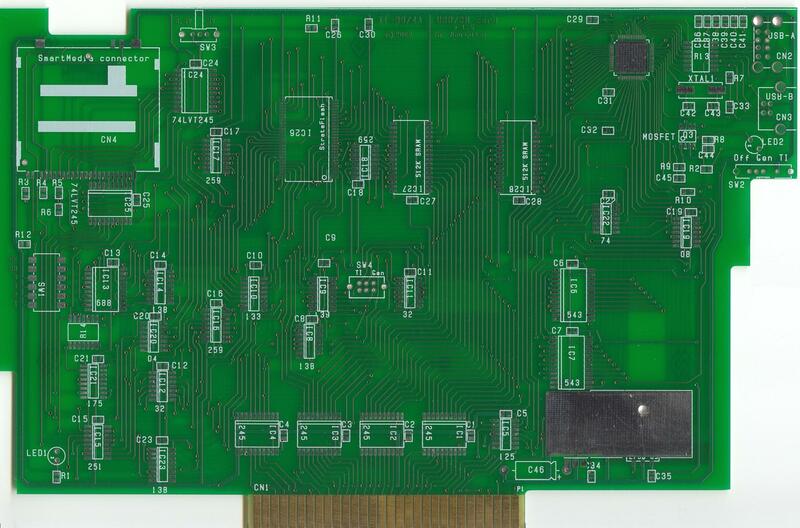 There is a lot of potential wit this piece of circuitry.